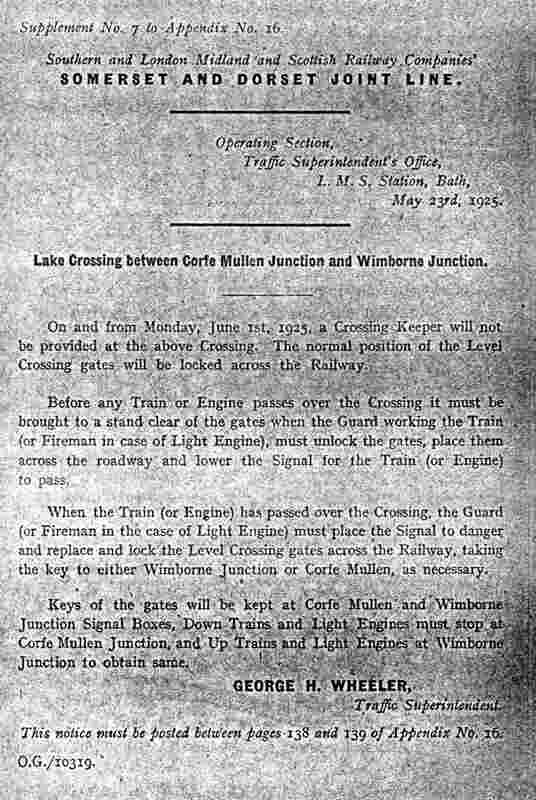 Lake Crossing was sited on the original Dorset Central Railway (DCR) section of the Somerset & Dorset Joint Railway (S&DJR), at a location between Corfe Mullen Junction and Wimborne Junction where the railway crossed a minor road. It probably came into existence when the first section of the DCR was opened on 1-November-1860 and it survived until 18-June-1933, when most of the line between Corfe Mullen Junction and Wimborne Junction was closed to all traffic. Although a short section of the line was retained as a siding at the Corfe Mullen end, the track ended just before it reached Lake Crossing, which became redundant (S&DJR Signal Instruction 338). 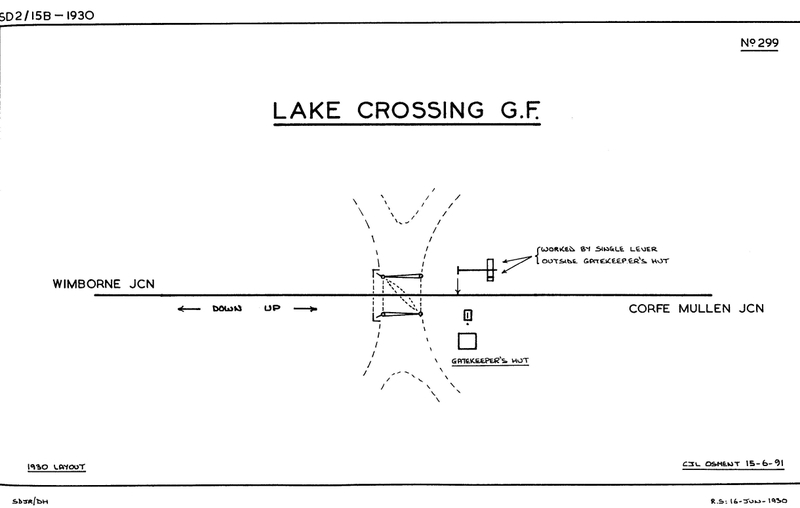 Lake Crossing was one of the simplest S&DJR signalling installations. It is difficult to say exactly when any signalling was first provided here, as there is no specific mention of Lake Crossing in early S&DJR Working Timetable (WTT) Appendices, but CR Clinker recorded from S&DJR Signal Instruction 67 a date of 29-May-1894 for the replacement of disc-and-crossbar signals by a double-arm semaphore signal. Thereafter the installation consisted simply of two semaphore arms mounted on the same post, but facing in opposite directions, and worked from a single lever ground-frame (GF). The lever pulled both signal arms 'off' simultaneously, as it would be necessary only to indicate that it was safe for a train to proceed across the crossing without bothering about the actual direction in which the train was travelling. 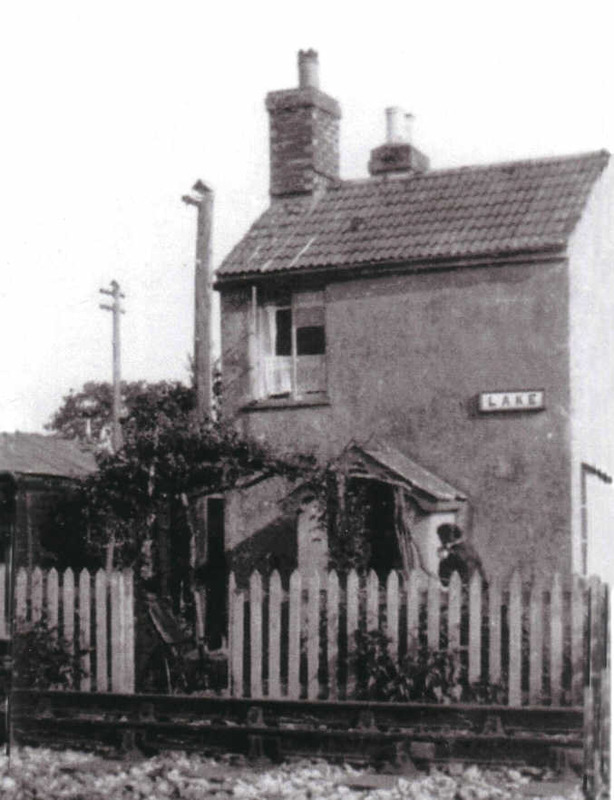 There was no interlocking with the level-crossing gates, which were worked by hand by the crossing-keeper who lived in an adjacent house. The signalling details have been taken from a S&DJR signal diagram copy dated 16-June-1930. The date of the original diagram negative was 27-September-1911, which raises the question of what change may have taken place at that earlier date to warrant the production of a new diagram. S&DJR Signal Instruction 270 advised that on 28-September-1921 the signal post would be replaced by a new one that was 10 feet lower, with the Up signal shown at a lower height than the Down signal. Photographic evidence shows that this replacement signal had a lattice post with lower-quadrant arms similar to those used elsewhere on the S&DJR at that time and confirms that the arms were at different heights, although the signal diagram copy clearly had not been amended to reflect that change. between S.&D. WIMBORNE JUNCTION and LAKE CROSSING. All Bell Signals are to be acknowledged by being repeated, and the "Call Attention" signal must in all cases be sent and acknowledged before the distinguishing Bell Signal is forwarded. The Signalman at S&D Wimborne Junction must send the Bell Signal to Lake Crossing for an Up Train on its passing his Post, and for a Down Train on receiving the Departure Signal from Bailey Gate. The instructions to Gate-keepers, Rules 116 to 124 inclusive, and all other Regulations in the Committee's Book of Rules and Regulations must be strictly attended to. 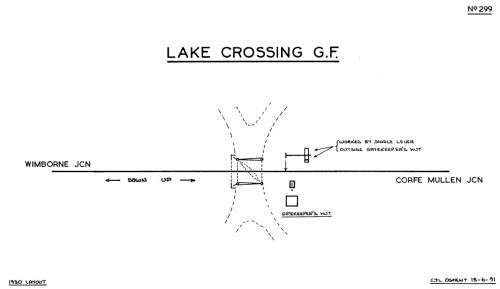 The purpose of the 'Closing of Signal Post' bell-code is not fully understood in the context of Lake Crossing, as it was not a 'block-post' that might open or close at certain times. It is probable therefore that it was intended as a bell-code to be sent from Wimborne S&D Junction to Lake Crossing (rather than vice-versa) to inform the crossing-keeper that Wimborne S&D Junction signal-box was closing. That would mean there would be no more trains running on the line through Lake Crossing until the next scheduled opening, so therefore the crossing-keeper could go 'off duty'. Passenger traffic ceased between Corfe Mullen Junction and Wimborne on 11-July-1920, but the line continued to be used by goods traffic until 17-June-1933. 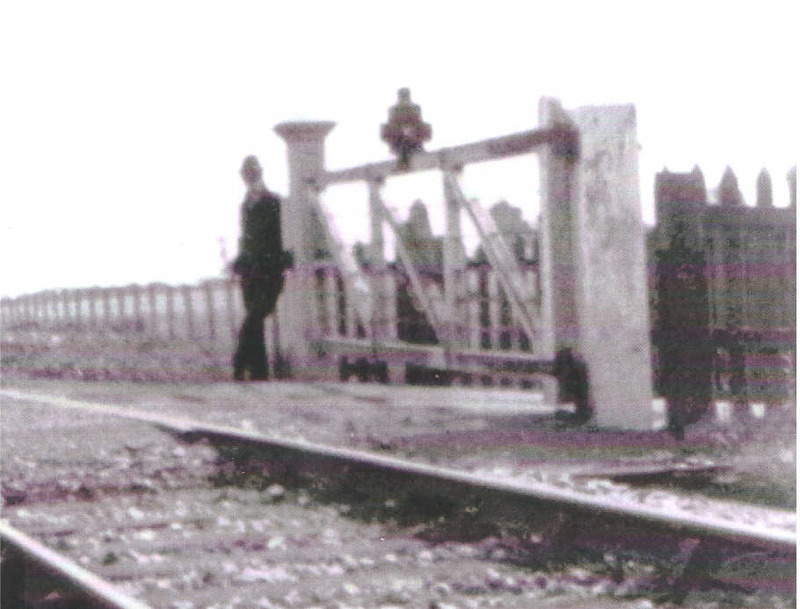 With the reduction in traffic the crossing-keeper was withdrawn with effect from 1-June-1925 and thereafter the gates were kept locked across the rails, being unlocked (and then relocked again) by the guard of any passing train (or fireman in the case of a light engine). The GF remained in use and the guard (or fireman) was required to operate the signals for the safe passage of the train (Supplement 7 to WTT Appendix 16). The GF and signals were abolished along with the crossing when the line closed on 18-June-1933 (S&DJR Signal Instruction 338). Photographs courtesy of George Marsh, diagram from a copy courtesy of Duncan Harper. Acknowledgements to Peter Russell and Chris Potts for information from their collections.